Nestled between Calgary and Edmonton lies the City of Red Deer, the third largest city in the province of Alberta, Canada. Known for beautiful walking paths and the Red Deer River that winds through the heart of the city, it’s a majestic place to live for over 100,000 residents. In Red Deer, the summers are long and comfortable, but the winters bring arctic weather. Freezing temperatures present significant challenges for the city’s 14-person wastewater crew, which is responsible for a total of 533.2 km (331 miles) of sanitary sewer pipes and 560.3 km (348 miles) of stormwater pipes. 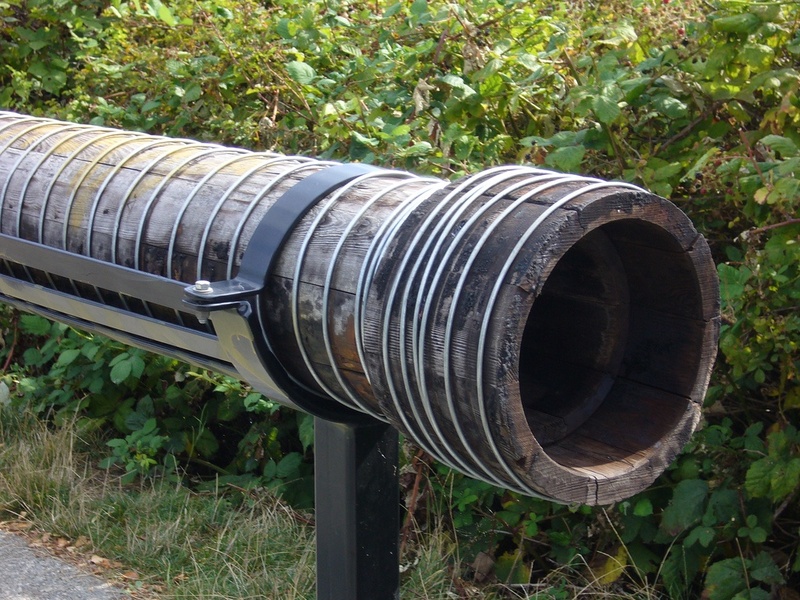 Sewer systems have been around in one form or another for thousands of years. As technology advanced, pipeline materials have changed, improving durability and functionality. With all the developments over time, most utilities have to contend with multiple pipeline materials, each of which has different maintenance concerns and a different lifespan. Today’s municipalities don’t lack data; in fact, modern technologies provide scads of it. The key to effective utility management has become analyzing and assessing that information and using it to make critical operating and maintenance decisions. As municipal budgets continue to diminish and expectations continue to increase, municipalities have been creating tactical sewer asset management plans to better support their workloads. Such has been the case for the City of Vista Wastewater Division. 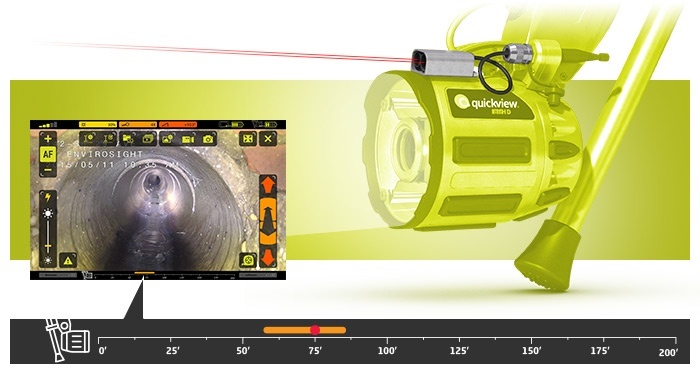 Quickview airHD Enhances Sewer Assessment with New Measurement Capabilities. 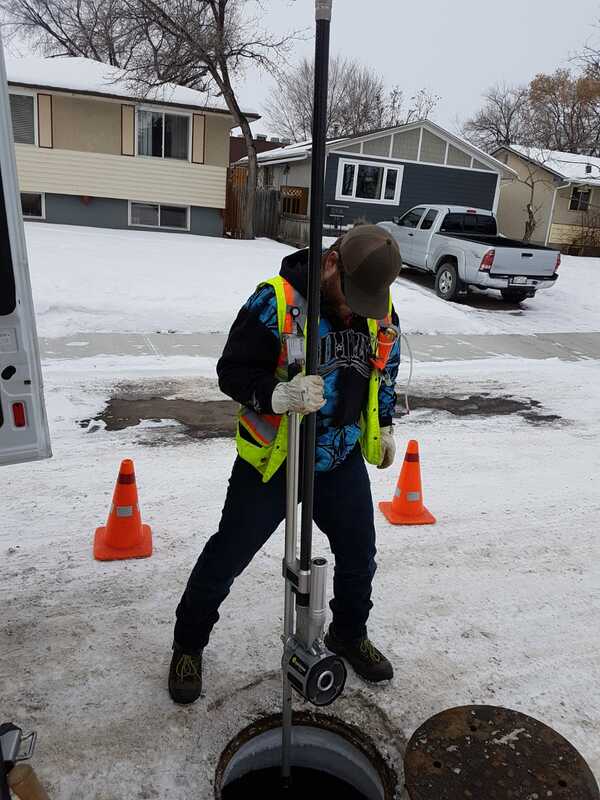 Hundreds of municipalities rely on the Quickview airHD to assess sewer condition rapidly and affordably. Now, this trusted tool can measure the distance to objects observed inside sewer pipes. Users can choose between a free app update that provides quick estimates, or deploy a laser rangefinder accessory for more accurate readings. Knowing the distance to pipe features makes it easier to troubleshoot problems and plan repair work. Pipeline inspection can be performed in a variety of ways, with a range of tools and equipment. When many different companies and manufacturers are promoting their brands, even seasoned pros can struggle to find the tools, methods and equipment that best fit their needs. In order to provide some guidance, we’re pleased to share the expertise of Eric Sullivan, Principal of Sewer Knowledge, who specializes in sewer infrastructure assessment and CIPP technologies. 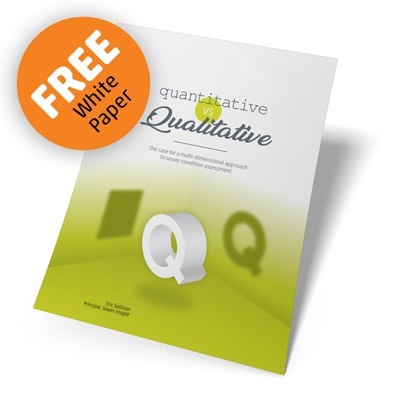 His research explores the two main methods of data collection, quantitative and qualitative, and analyzes an example of each. 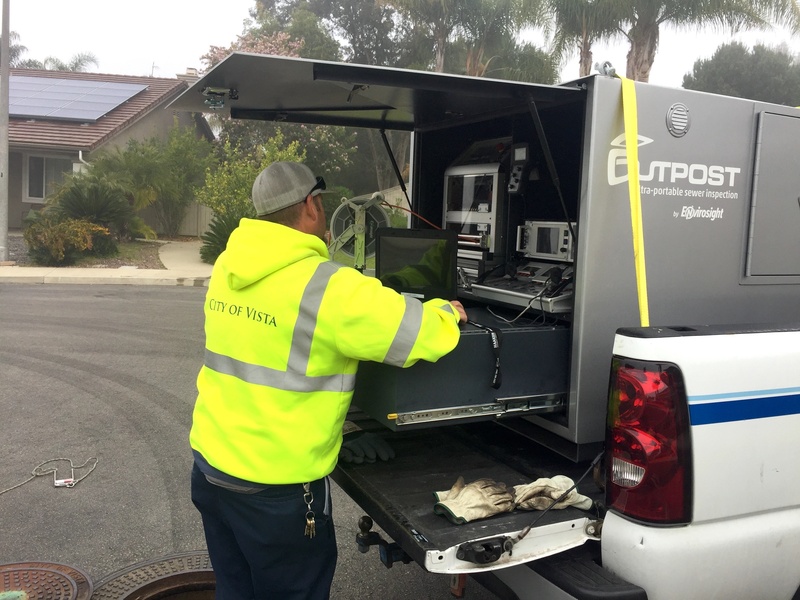 No doubt, sewer inspection gives municipalities a wealth of information, from what defects exist in pipes, to the presence of inflow and infiltration; from pipe rehabilitation needs, to the general condition of underground infrastructure. 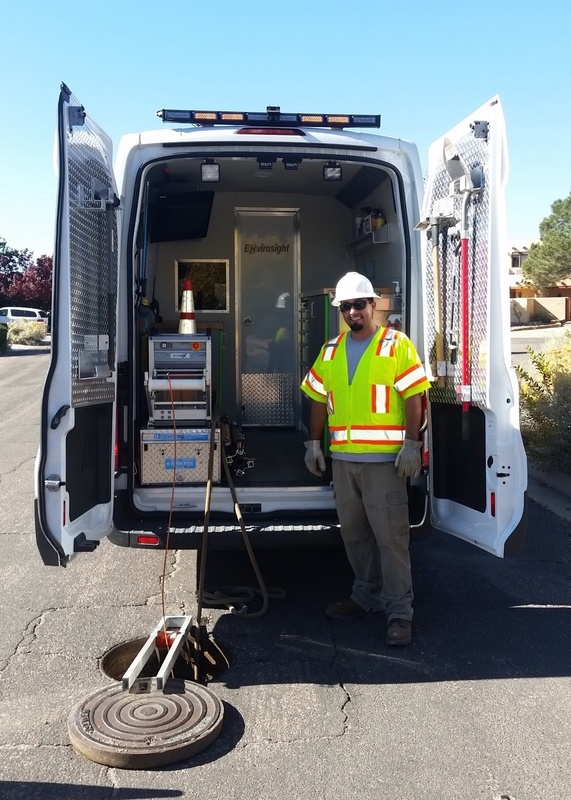 However, the City of Santa Fe’s Wastewater Management Division takes the investigative powers of their ROVVER X sewer inspection camera a step further by performing quality control. 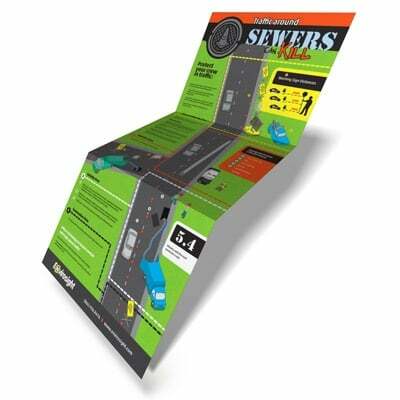 Sewer infrastructure typically runs under streets, so crews who clean, inspect and rehab sewers are routinely faced with traffic hazards as they do their work. The Federal Highway Administration reports that in 2015, a work zone crash occurred once every 5.4 minutes. Taking extra precautions to make these zones compliant with traffic safety regulations is the best way to minimize risk. Exfiltration is the leakage of wastewater out of a sanitary sewer system through broken or damaged pipes and manholes. 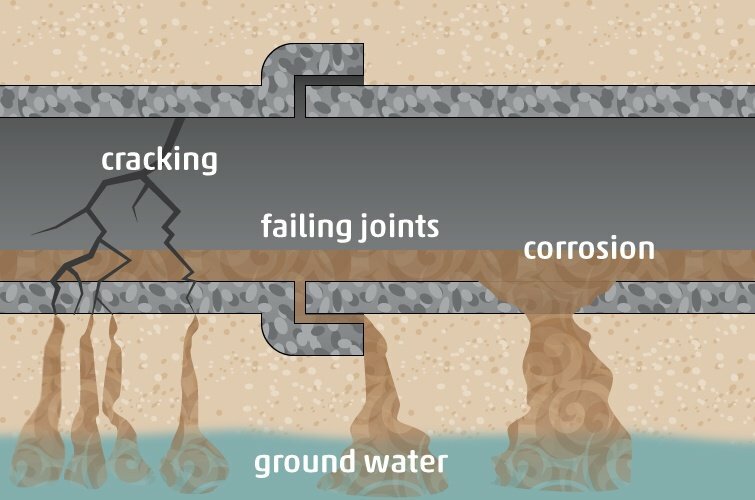 Wastewater that leaks out of defective pipe joints and cracks may contaminate ground and surface water and cause a host of other problems, including pipe structure failures due to erosion of soil support, and ground subsidence due to erosion of underground soil. According to the US Department of Labor Statistics, a staggering 74% of employees aren’t achieving their full potential at work due to lack of proper training. The stakes are particularly high when it comes to sewer inspection and maintenance, where deteriorating infrastructure and dwindling budgets make worker efficiency imperative. Even municipal employees who are equipped with state-of-the-art sewer inspection technology, PACP-compliant software and safety equipment will fall short if not given the proper training. Most successful business ideas spark when you least expect them. This couldn’t be more true in the case of Calgary Sewer Scope founders Jamie Hannaford, a full-time firefighter, and Nicholas Whittaker, a full-time realtor. In 2014, they were enjoying a family Thanksgiving dinner when they found themselves discussing with a guest the importance of residential sewer scope inspection prior to buying a house. 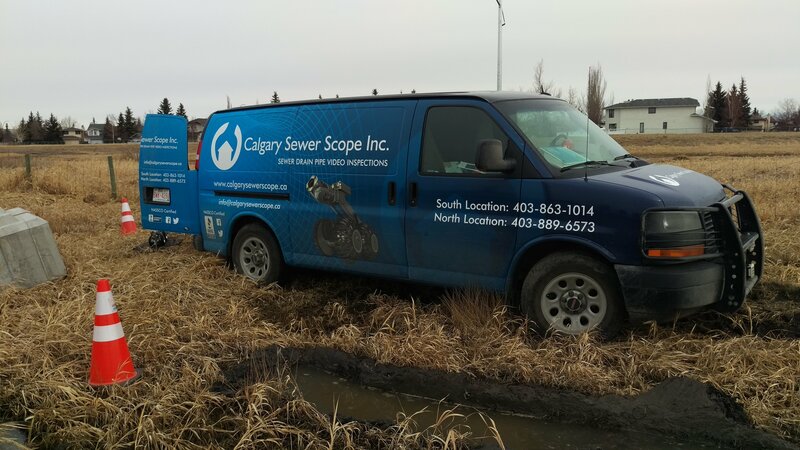 By the end of the conversation, they conceived the idea for Calgary Sewer Scope and worked to bring the company to life over the course of the next eleven months. 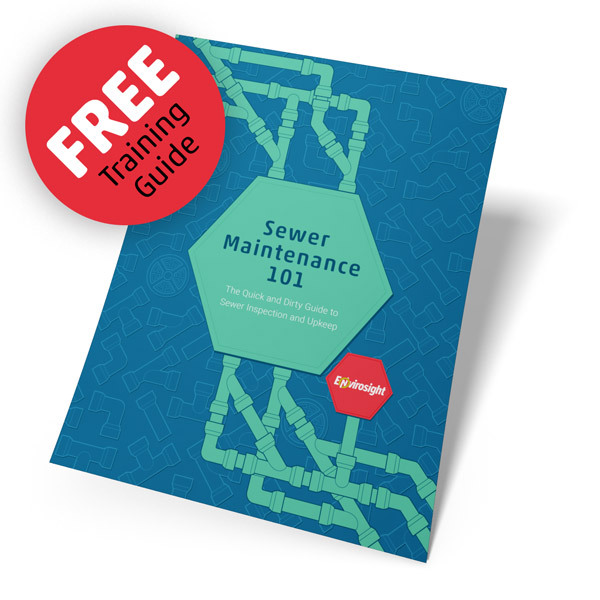 In September 2015, Calgary Sewer Scope began serving residential customers. Within two short years, the company expanded its service offerings to include municipal sewer inspections, cross bore inspections for utility companies, and pre- and post- acceptance inspections. Soon they will start offering point repair for sewers. They now have three full-time staff members and work with multiple subcontractors to fulfill the needs of their business.